A new mural to Swindon's best-kept-art-secret collection has just appeared in the town centre! 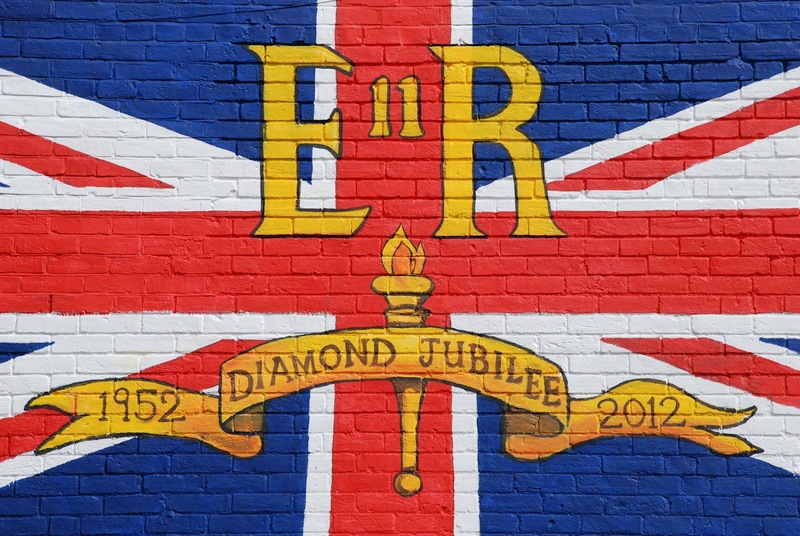 Above an office on the corner of Temple Street and Commercial Road, it's full of colour and has a royal theme. In the sun, against a blue sky, the colours really stand out. 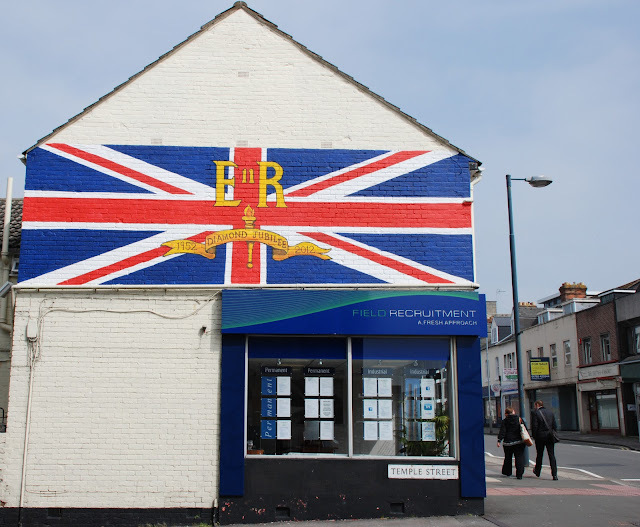 Swindon needs a new generation of murals, on houses, walls and offices. Who's with me?